Wow, move-in ready renovated home. Not a foreclosure or distressed home. NEW in abundance. Bathrooms, kitchen, carpet and newer windows. Also all new appliances. 2 car attached garage and fenced yard with new landscaping to come. It should not last long at the price. 8319 Seaforth Dr, Louisville KY 40258 is a Home, with 3 bedrooms which is recently sold, it has 1,653 sqft, < 1/4 ACRE sized lot, and 2 Car Garage,Attached,Entry Front parking. 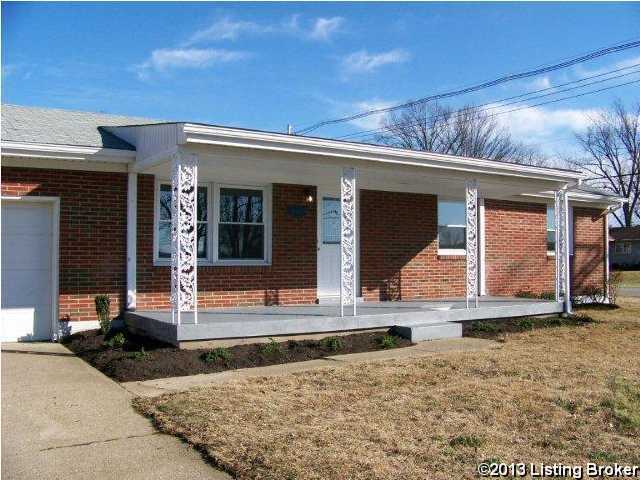 A comparable Home, has 3 bedrooms and 1.5 baths, it was built in and is located at 6006 Morning Glory Ln Louisville KY 40258 and for sale by its owner at $ 134,900. This home is located in the city of Louisville , in zip code 40258, this Jefferson County Home, it is in the NONE Subdivision, and Sylvania are nearby neighborhoods.